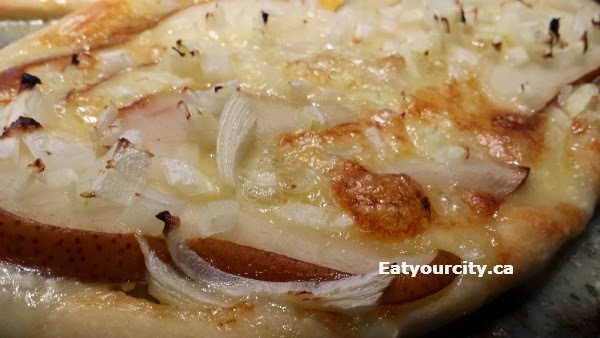 Eat Your City: Mushroom, mozzarella, sweet onion drizzled with honey and brie, pear and sweet onion thin crust pizza recipe! 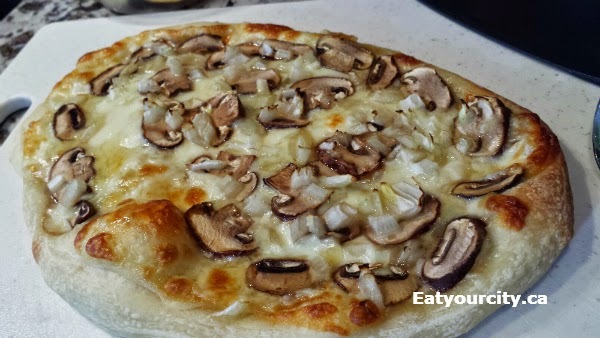 Mushroom, mozzarella, sweet onion drizzled with honey and brie, pear and sweet onion thin crust pizza recipe! Posted by After a successful brunch pizza topped with spicy capicolla, pancetta, onions and a runny egg (recipe here), I wanted some bianco pizzas - "white" pizza made without tomato sauce. So came up with these two tasty pizzas: Mushroom, mozzarella, sweet onion drizzled with honey and brie, pear and sweet onion. The honey and brie pizza came out more as a dessert pizza.. yum! I used some fresh pizza dough I picked up from the Italian Market, but you can easily use store bought, pita bread or make your own. The combination of mushrooms, mozzarella and sweet onions made for a savoury bite while a drizzle of honey adds a touch of sweetness to add a touch of sophistication to every bite. If you have truffle oil or shave a bit of truffle on to garnish, even better! I had some bottles of white truffle oil just languishing in my cupboards, so I finally made some use out of them… next time I'll try it on popcorn as cousin Ang suggested! 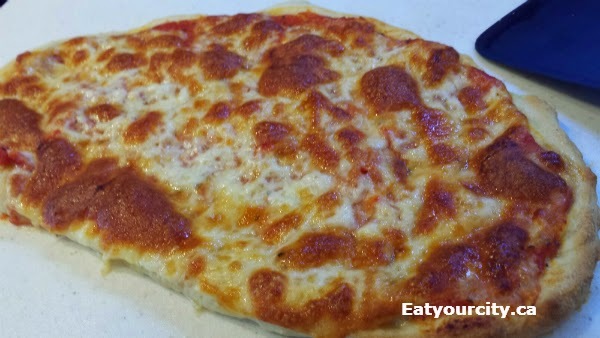 As I learned really quickly, only spread a thin not thick layer of brie on as it melts fairly fast and with too much brie, it makes the pizza crust a bit soggy (especially the centre) where all the grease soaks in. A little goes a long way. Bake pizzas in preheated 350F oven for 10 min. Drizzle the mushroom pizza with a touch of honey to finish and dig in! Anyway you make it, freshly baked pizza at home is totally worth a bit of extra effort when you bite into a crisp hot slice of nomnomnom! !